This week for our exercise of the week, we are going to tackle Glute-Ham Raises. Some gyms have a piece of equipment specifically for doing Glute-Hame Raises, but most of us have to be creative in our ability to do them. We have gotten a few pictures of one specific way of doing them that we like the best but I will highlight the key components and you can do them whichever way is the most comfortable for you. Why you should do Glute-Ham Raises? They target the hamstrings, glutes, and even calves (A.K.A. 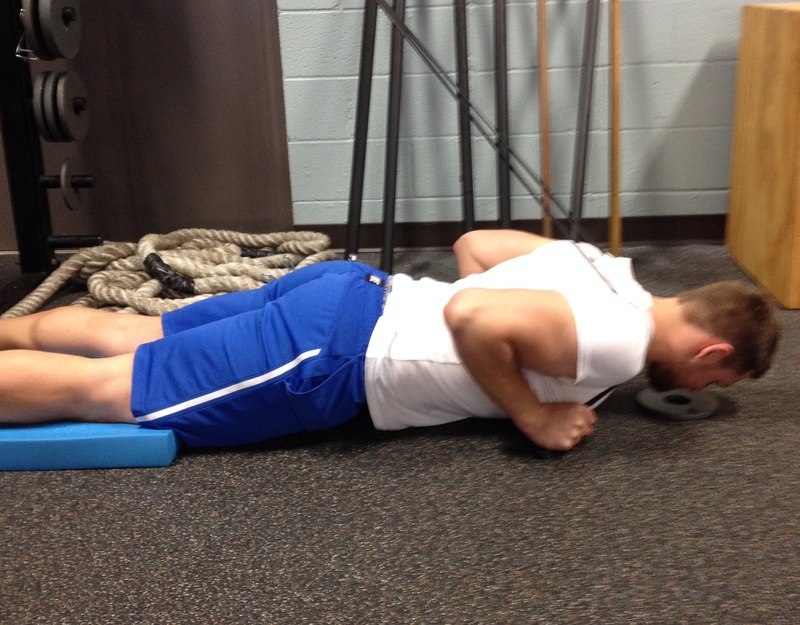 posterior chain) in a very distinctive way while also challenging the core in a similar way to an ab rollout. It’s rather high on the list of “bang for your buck” exercises. Step one is the set-up, in our case we attach two bands around something sturdy and high up (we use our power/squat rack). 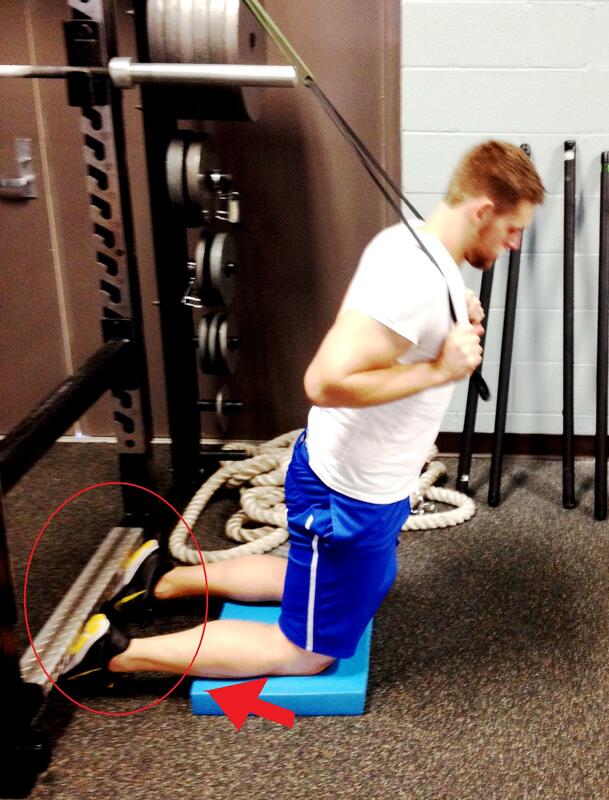 Step two is to wedge your feet under something to hold them in place (this is depicted in a later picture), this is another reason a power rack works well because there is usually a bar to slide the balls of your feet under. Step three is to position yourself on your knees in an upright position with your hips locked out, glutes engaged, and core tight. 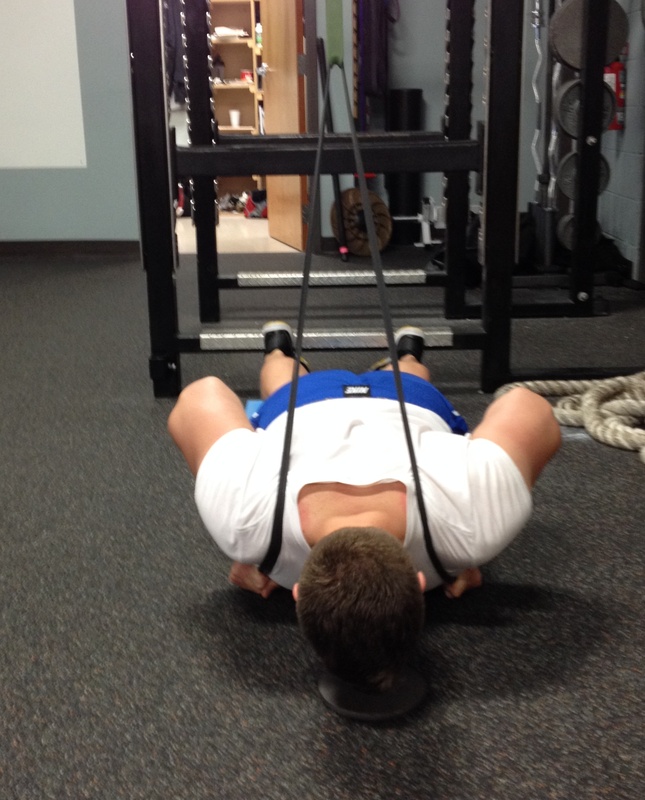 Hold the second band down close to your collarbones and lock your upper back into place. Step four is to begin lowering yourself towards the ground out in front of yourself, using your hamstrings and glutes to control yourself from free falling. 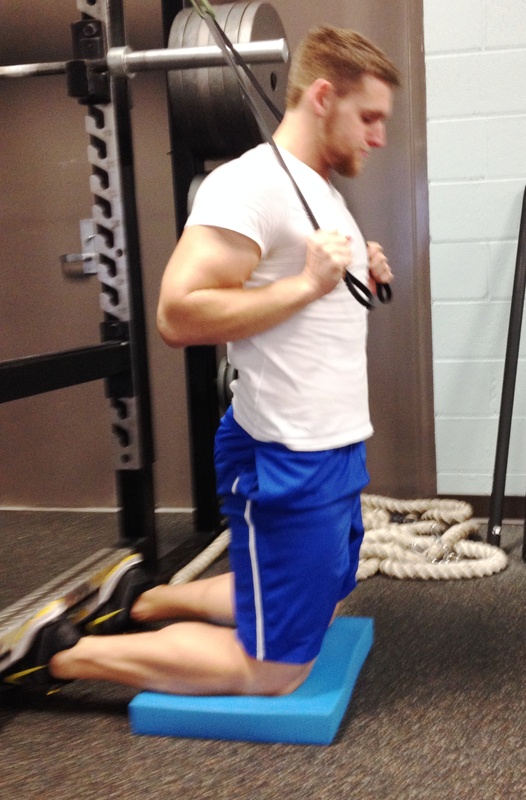 While lowering towards the ground be sure to keep your hips underneath you and stay in full hip extension. Also note the feet tucked under the bar). Step 5 is squeezing your glutes and hamstrings to bring your body back up to an upright position, again making sure your hips stay under you with your glutes engaged fully the whole way up. Raise yourself up back to the starting position (90 degree knee angle with hips extended) and repeat. This is just one version, the main takeaways from this exercise are tight glutes and an engaged core no matter what version you decide to do. Another homemade option without having bands available is to still lock your feet into place and place a flat bench in front you. As your lower yourself to the ground, us your arms on the bench to assist you as far down as you can. If you have difficulty pulling yourself back up, you can always use your arms in a push-up manner to give yourself a boost.